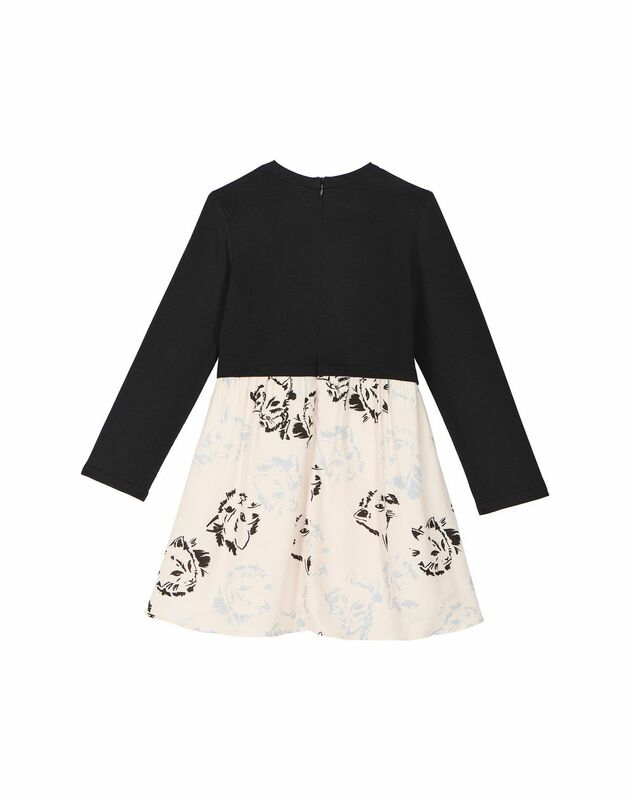 Long-sleeved pink and black two-toned dress, black and gray contrasting cat print on the hemline, round collar and hidden zippered closure on the back. 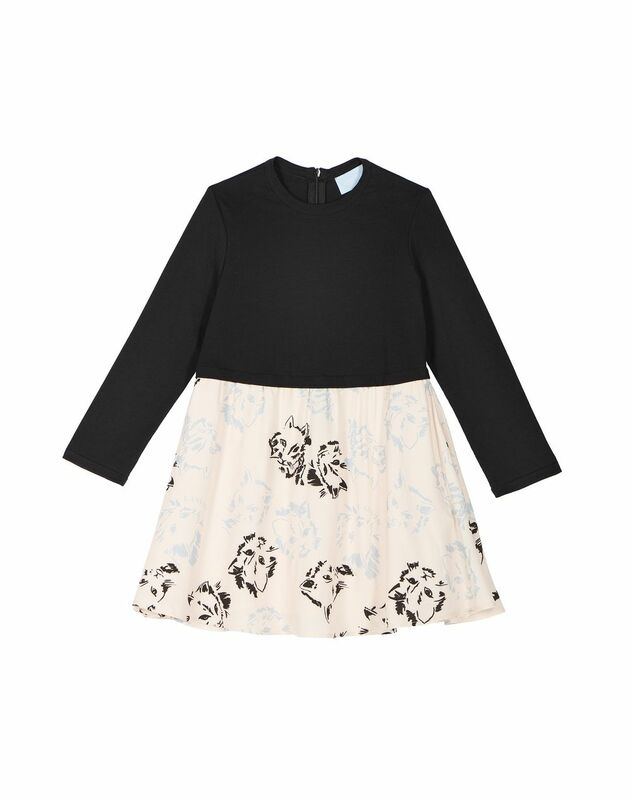 This lighthearted feminine two-toned little dress is decorated with a black and gray cat print. Comfortable and stylish, this children’s model is a season essential. 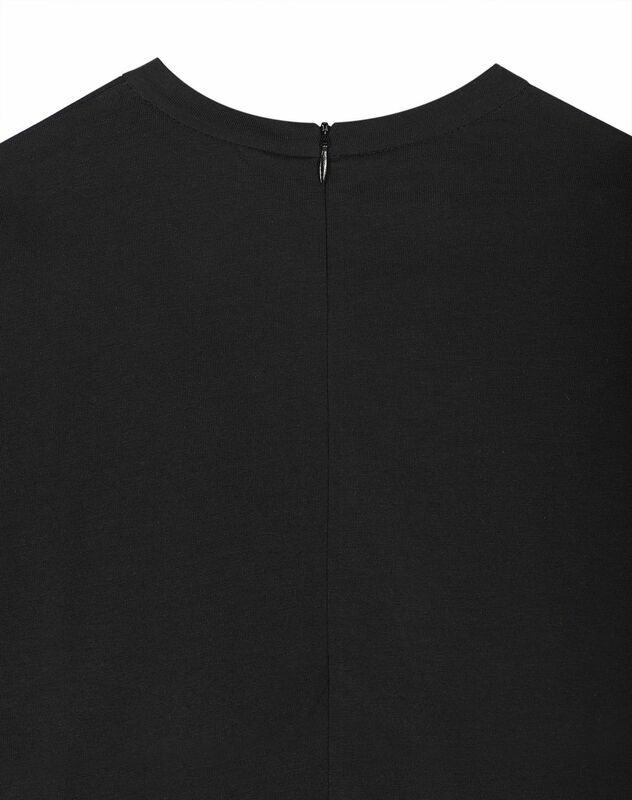 Main material: 100% viscose. Made in Italy. Care conditions: Do not machine wash. Do not use bleach. Do not tumble dry. Iron at low temperature. Dry cleaning.